Worst Foods for Your Teeth. Foods and Drinks That Ruin Your Pearly Whites. When you want to keep your teeth healthy and looking their best, you should be careful when it comes to the foods and drinks that can have a negative impact on your smile. Check out the worst foods for your teeth, and find out how you can reduce the damage caused by some of them. From highly acidic foods to drinks that contain way too much sugar, here are the biggest dangers for your teeth. They’re a great source of vitamin C, but citrus fruits and their juices can cause a lot of damage to the tooth enamel. Eating oranges and drinking their juice seems to be the least harmful for your teeth, while lemon and grapefruit erode enamel in the worst way. You should always floss after you eat citrus fruit and rinse your mouth with water after drinking juice made from citrus fruit. It’s obvious why hard candy is one of the worst foods for your teeth. It’s usually very sweet, and sugar is just as bad for your teeth as highly acidic foods, but hard candy can also cause physical damage to the enamel. Stay away from jawbreakers and other hard candy, especially if they’re flavored with citric acid, making them a triple threat. Refined carbs already start breaking down into sugar as you chew them, and bacteria uses that sugar to create an acidic environment. You can’t give up bread altogether, but you should choose more complex carbs and make sure to floss after every meal that includes bread and pasta. Crackers, pretzels and chips can also get lodged in your teeth and contribute to enamel erosion. When it’s not literally chipping at your teeth, candy tends to stick to them. 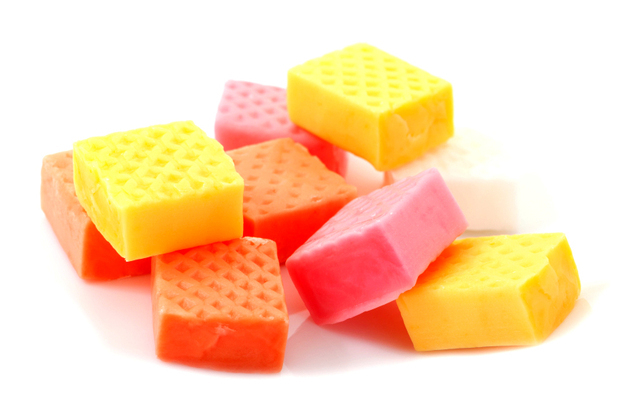 From caramels to taffy, chewy candy is one of the worst foods for your teeth. Most varieties are packed with sugar, which feeds bacteria, but sour candy is just as bad, because it’s packed with both sugar and acids. While dried fruit is generally not as bad as candy for your teeth, remember that it also sticks to your teeth, so flossing and brushing after eating it is a must. Dark beverages stain your teeth, and black tea can be as bad as coffee. Their high tannin content stains the your teeth, and all whitening products also have a negative impact on the enamel. While kombucha won’t stain your teeth as much, it’s almost as acidic as lemon juice, so make sure that you don’t drink it daily. Vinegar is another acid that can be harmful to the tooth enamel, so pickles can be one of the worst foods for your teeth. Even if you use a brining recipe, you’ll still end up with acidic pickles, but most of them contain vinegar and can have a negative effect on your teeth when eaten every day. While red wine is known to stain, white wine can also cause trouble. Its acidic nature decays enamel, which means that other staining foods or drinks will have a bigger impact on your teeth. Even if you stick to clear alcoholic beverages, like vodka, you’re still risking dehydration, and the less saliva you have in your mouth, the more acidic it gets. Beets and berries are some of the worst foods for your teeth because of their staining power, but greens can also have a similar effect. Swiss chard, kale, and other darker greens can also lead to staining. You should always rinse your mouth with water after eating hyper-pigmented foods if you want to keep your smile bright. 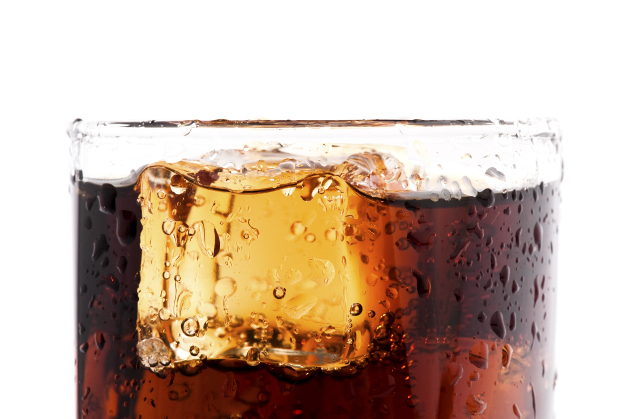 Acidic, sweet and with plenty of staining potential, sodas are a bad idea. Even if you only drink clear ones with sugar substitutes, you’re still getting all the effects of the carbonic acid. For the same reason, energy drinks shouldn’t be abused either, particularly if they’re loaded with artificial food coloring. While the worst foods for your teeth are either acidic or they contribute to lowering the pH in your mouth, there’s nothing more damaging to your teeth that the acids in your own stomach. Make sure you rinse your mouth with water or brush your teeth as soon as possible after throwing up, otherwise the acid will continue to erode your teeth.